Stem Cell Vaccines: The New Frontier in Cancer Therapy? Scientists and doctors have many options for obtaining sources of stem cells for research and therapeutic purposes. Examples of stem cells include embryonic stem cells, placenta cells and adult stem cells. Ongoing clinical trials of promising new stem cell therapies are underway worldwide. Stem cells are unique and versatile cells used in the field of regenerative medicine. A 2018 article in Medical News Today explains, “Cells in the body have specific purposes, but stem cells are cells that do not yet have a specific role and can become almost any cell that is required.” Replacing damaged cells with transplanted healthy cells could potentially lead to many groundbreaking cures. The ability of a cell type to differentiate into other types of cells is known as cell potency. The first couple divisions of a fertilized egg cell give rise to stem cells capable of differentiating into many types of cells such nerve cells, skin cells and fat cells. These cells then form tissues and organs in a developing organism. Embryonic stem cells can also be isolated in the lab and used to grow stem cell lines for research. Some cells in the adult body retain limited regenerative powers. Although a bit tricky to find, these adult stem cells are located in tissues throughout the human body. Adult stem cells stand guard ready to spring into action to repair and renew dead or dysfunctional cells. Stem cell research sounds a little like science fiction. For instance, researchers are looking at the possibility of using stem cell therapy to replace missing limbs. Stems cells might one day be used to grow organs for patients needing an organ transplant, while also reducing the wait time for a suitable donor. A one-cell fertilized egg (zygote) capable of dividing and maturing into a fertile adult is considered to have totipotency, or total potency to develop into any type of cell. Cell potency drops as cells continue to divide in a predictable developmental sequence. For instance, the zygote may only be totipotent up to the four-cell stage of division, according to the Journal of Stem Cells and Development. Embryonic stem cells are found in the cell mast of a blastocyst. Embryonic stem cells are pluripotent, meaning they can turn into nerve cells, blood cells, skin cells, brain cells and most everything else found in the body. Unlike totipotent cells, embryonic stem cells cannot mature into placenta cells. Multipotent stem cells, like adult stem cells, can only change into a few types of specialized cells. For example, blood stem cells can only replace the different cells found in blood like red and white blood cells. They cannot morph into heart muscle cells or skin cells. Other examples of multipotent stem cells include neural stem cells and mesenchymal stem cells. Researchers have more difficulty isolating this type of cell in tissue samples. Scientists store and grow lines of different stem cells in laboratory test tubes and cultures. Scientists are learning how to trick adult stem cells into acting like pluripotent embryonic stem cells. Different induction techniques are being explored such as genetic engineering, electrical stimulation and exposure to progesterone. By manipulating induced pluriopotent cells, researchers can gain insight into how to direct and control the growth of implanted stem cells for therapeutic purposes. Fertilized eggs that are no longer needed at fertility clinics for insemination are either donated for research or discarded. Informed consent must be obtained to use cells from human subjects and embryonic blastocysts for ethical reasons. Stem cells are obtained from the inner cellular membrane of an embryonic blastocyst that is three to five days old. Embryonic stem cells help scientists deepen their understanding of how immature cells reproduce, interact and respond to their environment. Without proper direction and programming, embryonic stem cells could move to another spot in the body and differentiate in unforeseen ways. Bone marrow is a spongy tissue inside bone that produces red blood cells, white blood cells and platelets. Hematopoietic stem cells (HSCs) can be harvested from bone marrow. HSCs are blood-forming cells that can replicate indefinitely or mature into specialized types of blood cells. Multipotent mesenchymal stromal cells (MSCs) and blood-forming stem cells can be found in bone marrow. Scientists later found MSCs in many other tissues such as the lung, liver, skeletal muscle, cartilage, spleen and fat tissue. MSCs cells in stem cell therapies help to support organ homeostasis and cardiac functioning. MSCs can also be used in liver regeneration treatments. Unborn babies are cushioned in the womb by amniotic fluid. Multipotent mesenchymal stromal cells have been found in samples of amniotic fluid that were taken during routine amniocentesis procedures done to assess fetal development. A large amount of stem cells in amniotic fluid can be safely collected during a caesarean delivery. Harvesting MSCs from tissue that would otherwise become medical waste would be an easier, faster and less invasive route than taking stem cells from adult blood marrow donors. The abundance of amniotic fluid could expand regeneration research. Another advantage over harvesting adult stem cells is that cells taken from amniotic fluid are new and less likely to contain faulty copies. After a baby is born, blood-forming stem cells can be readily harvested from blood in the placenta and umbilical cord. Cord blood is a rich source of stems cells used in the treatment of patients with certain blood or immune system disorders like lymphoma, leukemia, anemia and sickle cell disease. Transplanted hematopoietic stem cells help cancer patients rebuild red blood cells after chemotherapy. 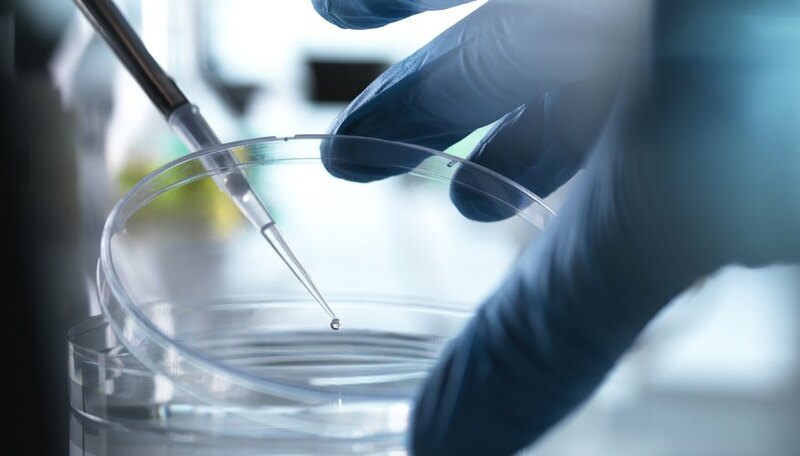 According to the U.S. Food and Drug Administration, consumers should be wary of fraudulent stem cell scams involving the sale of cord blood products advertised as a miracle drug. The FDA indicates that cord blood has not been approved for uses other than increasing blood cells. The FDA advises consumers to stay clear of biological products on the market that are not FDA-approved. Endometrial stem cells in menstrual blood are being successfully isolated and used in stem cell research, according to a 2017 article in the Journal of Cellular and Molecular Medicine. The cells have self-regenerative properties that are not fully understood. Researchers are interested in endometrial stem cell therapy because of an anticipated lower risk of tumor formation after transplant. The healthy pulp of baby teeth, wisdom teeth and some molars contains stem cells. Dental stem cells are a type of mesenchymal stem cell that can differentiate into dental tissue. Stem cells from teeth can be stored and possibly used later for dental regenerative purposes. Researchers at Tufts University School of Dental Medicine are researching ways of using stem cells to regenerate pulp growth in damaged teeth. Preliminary findings on animal models show promise. If procedures prove successful on humans, a tooth that would otherwise need to be pulled, or treated with a root canal, could be repaired. Medical News Today: What Are Stem Cells, and What Do They Do? What is the Structure of Stem Cells? Mary, Dr.. "Where Are Stem Cells Found?" Sciencing, https://sciencing.com/stem-cells-found-4569029.html. 27 March 2019.